2009), where two engines delivered 9,275 pounds of thrust each. The TF34 (TF34-GE-100) remains in service on the U.S. Air Force A-10 Thunderbolt II ground-attack close-air-support aircraft. Two engines (9,065 pounds of thrust each) power the A-10 to speeds of up to 420 mph (676 km/h). In service, the TF34 has proven to be a highly reliable and maintainable powerplant with low operating costs. General Electric has delivered approximately 2,100 TF34 engines that have accumulated more than 13 million flight hours. Hot-section improvements have significantly reduced the unscheduled removal rate and have doubled the engine's on-wing capability to more than 2,000 hours. The TF34 is the father of the CF34, a commercial version that powers business jets and regional jet airliners. The first TF34 was shipped in February 1971 and flew for the first time on the S-3A Viking in January 1972. The first production S-3A was delivered to the Navy in January 1974. The aircraft was retired in 2009. Today, more than 566 engines are in service with the U.S. Air Force (excl. spare engines). 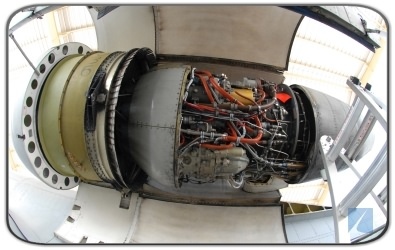 On another note, General Electric's LM500 marine engine is basically a TF34 engine without its fan. The LM500 is similar in design and materials to the proven LM2500 marine gas turbine.